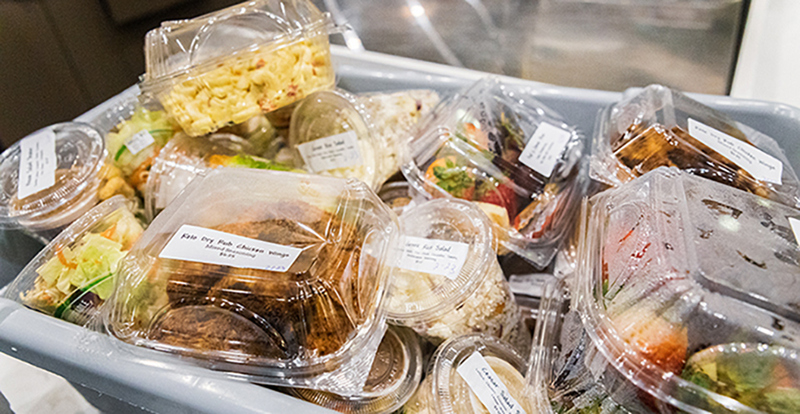 The Bobcat Eats Food Waste Awareness and Prevention Program has saved over 800,000 pounds of food since May. With nearly a third of all food worldwide being wasted and millions of people going hungry every day, preventing food from going to waste is a crucial operation. The Bobcat Eats Food Waste Awareness and Prevention Program may have a long name, but in a short amount of time it is playing a major role in curtailing food waste in Merced County by rescuing food that would otherwise go to waste. 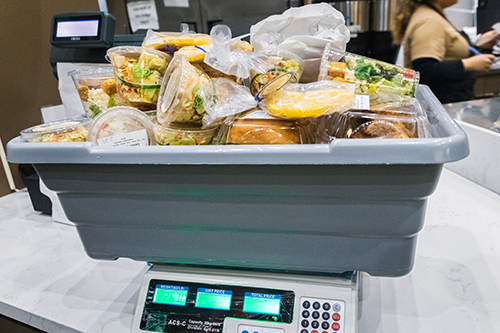 Since launching in May, program coordinator Erin Meyer and her small staff have used various methods to save more than 845,000 pounds of food — the equivalent of over 600,000 meals. More than 11,000 pounds of that total were perishable items that were rescued and immediately redistributed. The program is a partnership between the university and Merced County Food Bank, which not only receives the rescued food, but also helps save the food, too. Meyer said before the program started, the food bank was wasting 15 percent of the food it had; now that number is down to 3 percent. The Bobcat Eats Food Waste Awareness and Prevention Program rescues food from locations across the city and takes them to locations like the Merced County Food Bank. The food bank isn’t the only distribution site or food rescue location. 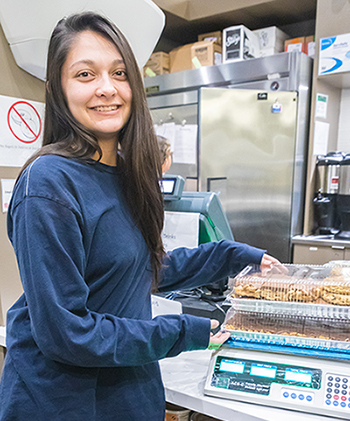 Jantz, Cardenas, Bagel Tyme, two local Starbucks and UC Merced’s Lantern Cafe are among the 20 food donors that work with Meyer and her team to organize weekly food pickups so the food can be moved elsewhere for distribution. Meyer said hauls range anywhere from 50 to 400 pounds, with a 704-pound rescue currently standing as the record for a day. The rescued food is then moved to one of the 15 distribution sites, including UC Merced’s Bobcat Pantry, the D Street Shelter and Merced Rescue Mission. “The collective support of both internal departments and external organizations is what is allowing this program to succeed,” said Breeana Sylvas, Assistant Director of UC Merced’s Department of Sustainability. The office is one of several internal stakeholders engaged in the program. Junior Kaitlyn Aldaz has helped rescue food as the first intern for the Bobcat Eats Food Waste Awareness and Prevention Program. For junior Kaitlyn Aldaz — who joined the program as its first intern in May — the ability to rescue food has allowed her to have a direct effect on an issue — food security and waste — she admits she was blind to before the internship. “One of my most memorable days was when I had over 500 pounds of food in my car at once and I drove it to a shelter in downtown Merced to unload it,” the native of Glendale, Ariz., said. “I remember seeing families crowd around the gate and watch us as we carried the food in. When I drove away, I saw families sitting in their cars and gathered on the sidewalk waving and thanking me as I pulled away. The program also fights food waste by gleaning from farms and backyards in the Merced community. Residents can register their trees, orchards or fields and volunteers will pick up the food and take it to a distribution site. To learn more about gleaning, or to sign up, you can visit mercedgleaning.org. As the program continues to expand its reach throughout the county, the program seeks more volunteers to help keep the operation running. Meyer hopes more businesses, orchards and farms will become donors and number of distribution sites will grow. If you are interested in volunteering or becoming a donor or distribution site, you can reach Meyer at emeyer4@ucmerced.edu.